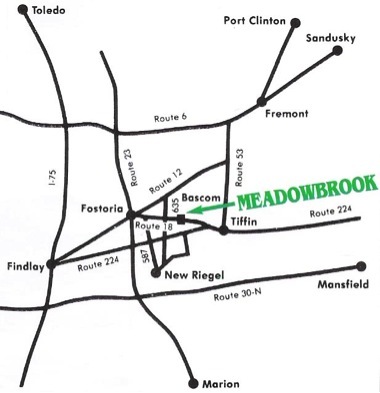 Meadowbrook Park is located on the south side of the road at the east edge of Bascom, Ohio on State Route 18. 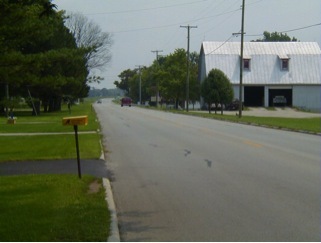 The Causeway into Meadowbrook Park is one half mile east of the junction of State Route 18 and State Route 635. 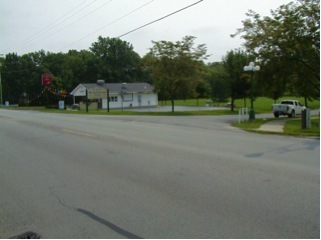 The Causeway into Meadowbrook Park is 3.3 miles west of the junction of State Route 18 and US Route 224. Coming from the west on SR 18 the Causeway is just beyond the Big Grey Barn on the South side of the road. The Causeway is just before the Ice Cream Stand. 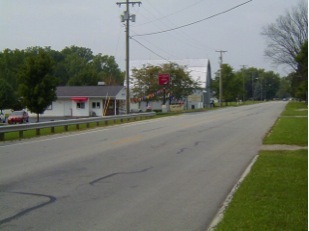 The Entrance to the Meadowbrook Causeway at State Route 18 and the Meadowbrook Sign. Coming from the east on State Route 18 the Causeway is just past the Ice Cream Stand. The Causeway into Meadowbrook Park is on the south side of the road. Meadowbrook Park is located at the end of the Causeway. 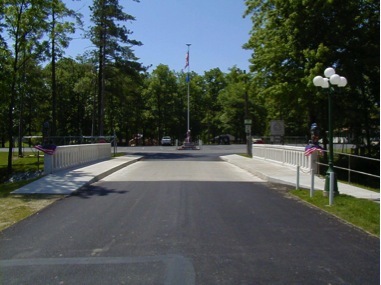 All incoming traffic must turn right after crossing the bridge as you enter the park. 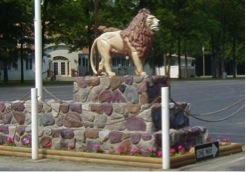 Upon Entering Meadowbrook Park you will be welcomed by the Meadowbrook Lion. The Lion has stood as sentinel since the park was opened in 1930. The Lion stands at the entrance to the park just across the bridge on the south bank of Wolf Creek. The main parking lot for the Historic Redwood Ballroom and lower park is at the entrance behind the Lion. 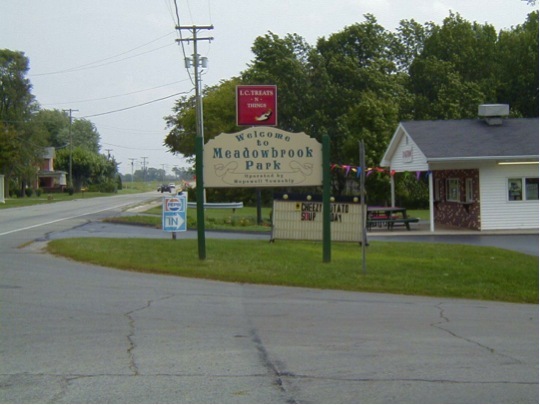 Meadowbrook Park has a one way loop drive from the entrance around the main grounds of the lower park. You are asked to keep to the right and follow the road past the Ballroom and Shelters to the main office at the Pool area. 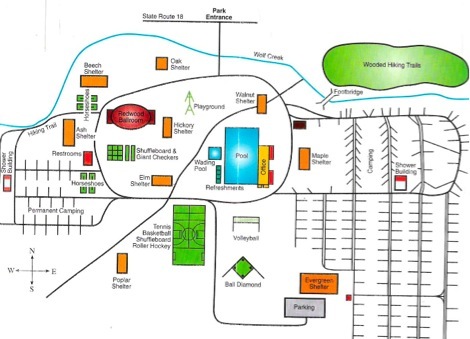 The park office is at the Pool and this is where you register for the campground and make reservations for the Shelters and Ballroom.